Regardless of our impatience and desire to witness a truly democratic state of Armenia, we have no alternative to being patient, because it takes time to develop democracy, economic and social development, and civil society, as well as true democratic reforms. Although he does not provide an exact duration of the proposed patience, one thing is clear, he talks about centuries: “How long did it take for some of Europe’s democracies to give their women the right to vote?” He then goes on speaking about the French guillotine, slavery in the U.S., and so on. Sevan expects Armenia to relive the past stages of world history to deserve a true democracy. In fact, Armenia is reliving some historic moments to a certain extent. A few months ago, I read about an Armenian slave camp run by Marat Janvelyan, one of the untouchable oligarchs of Armenia. No prosecution or investigation followed this hairsplitting “negative report” about the sad reality in 21st century Armenia. (The full story can be read here). I wonder if it was thanks to such patience that today Georgia, Armenia’s post-Soviet neighbor, can boast about the biggest leap towards democracy in the same “rather dangerous neighborhood”, Sevan’s moniker for the South Caucasus. Of all the hundreds of negative reports, is not there at least a single positive development to report on? […] We should all unite and spare no effort in supporting and encouraging them [government officials, A.K.M] to speed up the development of democratic institutions, as well as strengthening the economy and raising the living standards. One gets tired of reading what is being said by all these so-called pundits, rabble-rousers, including self-serving former government officials pursuing their own personal agenda to bring about a regime change not through the ballot box but through encouraging a mob culture. Benon Sevan is tired. Actually, he is so tired that he forgets all bread is not baked in one oven. He muddles Levon Ter-Petrosyan with journalists and human rights activists who voice their concerns about the problems in the country. I personally believe that all the three presidents of independent Armenia need to be prosecuted for their crimes against Armenia’s statehood and citizens. For a better understanding of the economic crimes of the Armenian governments past and present, I recommend that one read, “To Donate or Not to Donate,” a white paper on “Hayastan” All-Armenian Fund. Benon Sevan’s call for wielding a positive, “cheerleader” stance toward Armenia’s corrupt authorities is not alien to his nature. He has showcased such leniency toward a despotic regime before. 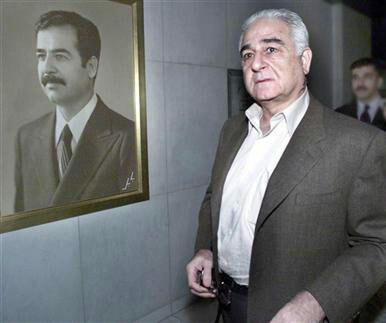 Back in 1996-2003, as UN Oil-for-Food chief, Benon was accused of accepting bribes from the government of Saddam Hussein, while the latter was terrorizing and murdering his own people en masse. Sevan avoided prosecution by fleeing to Cyprus in 2005. Patience is another word for indifference. For too long, Armenians in the Diaspora have remained patient toward unrestrained abuses of the monopolies, suffocation of small and medium private entrepreneurship, as well as alarming frequency of forced suicides and murders in the army, widespread poverty in Armenia’s provincial regions, and continuous mass emigration. I voice my concerns over injustice in Armenia and fight for improvement, because I believe that Armenia can do better, and will, as long as concerned citizens keep pushing.